The White Center CDA Invites You! White Center Community Development Association, Southwest Youth & Family Services, Capitol Hill Housing, and King County are coming together to build a community-driven and designed campus with community services and affordable housing at the former Public Health Center at 8th Avenue SW & SW 108th Street. The HUB will provide welcoming and much-needed spaces for community to connect, celebrating the value of White Center’s diversity through cultural art, music, traditions, ceremonies, events, and community-wide activities. 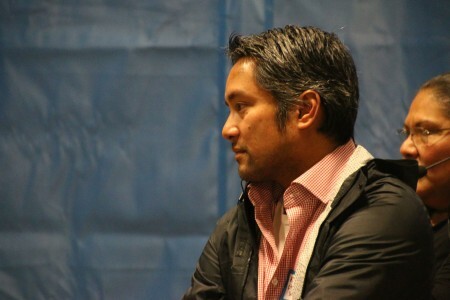 Thanks to Aaron Garcia from the White Center Community Development Association for the heads-up. If you’re not already planning on going to Saturday’s annual White Center Summit – you’re invited! Come learn about issues affecting White Center – like housing, health, economic development – and learn about community building and how our communities of opportunity partners are coming together to support White Center families- and discuss your priorities with local officials and neighbors. What do you love about White Center? What would you like to see improve? This event is FREE, and interpretation, child care, and breakfast & lunch is provided. Due to the generosity of a private donor, two participants will be randomly selected to receive $100. Here’s where to go to RSVP. June 4th, 2018 Tracy Posted in How to Help, White Center Community Development Association, White Center news Comments Off on Signed up yet for White Center Refresh 2018? Signed up yet for the White Center Community Development Association‘s big event? Less than three weeks to go! 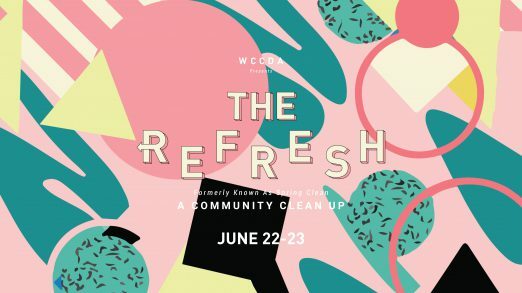 Formerly the Spring Clean, The Refresh is now a two-day neighborhood cleaning and restoration event on Friday, June 22nd, and Saturday, June 23rd. For 14 years, this has been one of the CDA’s signature events. 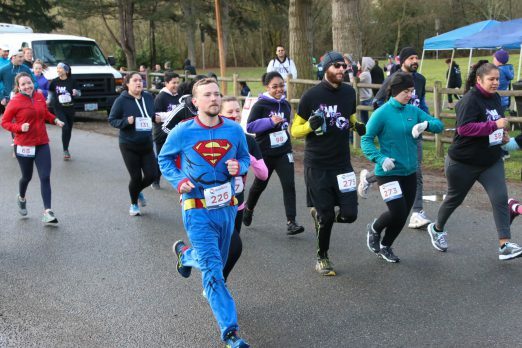 Previous projects have included garbage pickup in the business core of White Center, painting new and touching up existing murals, building garden boxes, and sprucing up the parks through partnership with King County Parks. The CDA has decided to extend this community event to two days for more intensive projects such as the White Center Food Bank’s remodel to a grocery store layout, and partnering with Habitat for Humanity to do landscaping work. We will be capping at 100 participants for this event. This is a great opportunity for lovers of the White Center Community to come together and refresh out neighborhood! For more information and to register for this hands=on community event, go to the CDA’s website, or contact Theari@wccda.org. Registration is open now! Signed up yet? The White Center Community Development Association presents this year’s WC Community Summit on Saturday, 9 am-3 pm at Evergreen High School. Free child care, food, raffle. Just sign up – which you can do by going here. This year’s topics include displacement, the 2017 WC Community Survey, affordable housing, knowing your rights, and immigration. On Saturday, more than 200 people gathered at this year’s White Center Summit, organized by the White Center Community Development Association (WCCDA) at the Evergreen Campus. 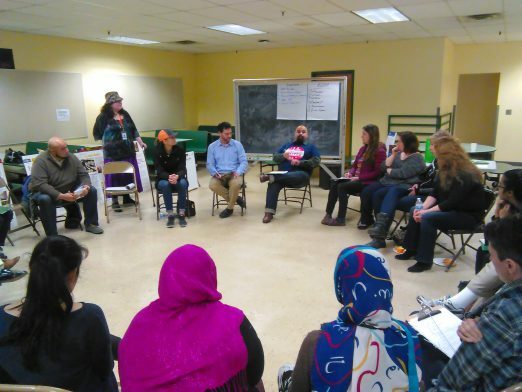 In contrast to the tumult resulting from actions taken in “the other Washington” just before the weekend, the summit gathered a diverse cross-section of the community to create networks between neighbors and organizations and to discuss solutions. Residents highlighted concerns around education, health, economic development, neighborhood safety, and affordable housing. There was a thoroughfare of organizations offering different services and promoting advocacy for components of the community. Two of the organizations tabling at the event were the YES Foundation of White Center and H.E.L.P., represented by Pat Thompson and Rayonna Tobin, respectively. The YES Foundation is focused on serving children and youth and connecting them with programs on leadership and post-secondary education. The latter organization supports families of incarcerated people, whether it comes to counseling and emotional support or making up for the loss of income and stability in the home. 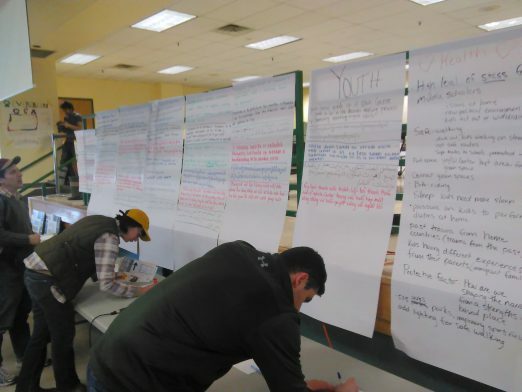 After some mingling, breakout groups were formed to seek innovative solutions for community concerns identified by participants, including: Youth; Affordable Housing; Neighborhood Safety; Economic Development; Education and Health Strategies. Participants in the breakout sessions took away either contacts or information to help develop the neighborhood. During the economic development session, Hugo Garcia, a risk-management officer with Craft3, a Community Development Financial Institution, discussed how his organization helps “fill the gap” where other banks fail to support small businesses, nonprofit programs and projects, etc. The gap that the lifelong White Center resident referred to was the aversion that banks and other traditional financial institutions have toward supporting some of White Center’s small entrepreneurs of color, immigrants, and women. During the affordable-housing breakout session, facilitated by Marie Pino, a neighborhood-outreach coordinator with the WCCDA, residents addressed the increasingly stark challenge of finding affordable housing in White Center due to development. “The things that we have [found] on our map today are new commercial developments … that people don’t recognize, and we’ve seen some changes in ethnic communities,” said Giulia Pasciuto, a policy researcher with Puget Sound Sage. The research conducted by Puget Sound Sage and Futurewise shows that these new developments have raised rents and introduced new market-rate apartments. Traditionally low-cost housing has become more inaccessible as “housing prices are increasing just north of the White Center border in Seattle. The home-ownership price in White Center has increased substantially in the last few years.” In Pasciuto’s opinion, a mixture of strategies – similar to comprehensive efforts within Seattle city limits – is necessary. For Savusa, the housing and economic-development data that community partners have gathered is essential. “Our role is to find those resources and bring them into the community and find commitments to [work on] what [is] important here to the families,” as Savusa described the CDA’s role in building the community’s assets. For Savusa and the CDA, “what gets in the way are a lot of policies [that] get put into place” that don’t reflect the nuances of White Center’s diversity. Educators and education advocates who had ties with the community made up a significant percentage of the attendees. Tonya Powers, director of Baccalaureate Programs and Workforce at Highline College, explained that Highline offers services to residents of White Center and that its student population is expanding due to rising housing costs in Seattle leading more people relocating to South King County, including locations like White Center. 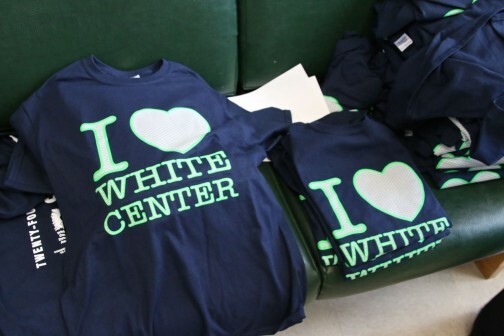 Just a reminder – 8 am to 3 pm today at the Evergreen campus, you’re invited to this year’s White Center Summit. Full details are in this preview published earlier this month. 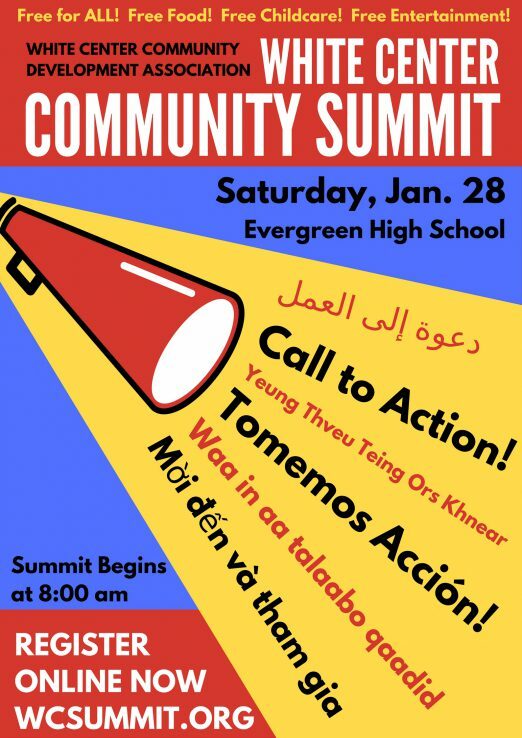 Each year the White Center CDA hosts a community summit to bring neighbors together to talk about the state of their community and plan for White Center’s future – on January 28, the CDA will host the annual summit at Evergreen High School. This year’s summit theme is “Call to Action.” What current initiatives are being undertaken and how can we, as community members, come up with our own solutions to growing our community strengths or addressing community issues? The Summit is also a time to celebrate ourselves as a neighborhood, so please bring a friend and join us! The summit is always free and open to every resident of White Center, including youth. Free child care, interpretation services, and breakfast and lunch are provided. We start early with free breakfast and local community organizations tabling so that residents can meet and learn about groups working in their neighborhood. 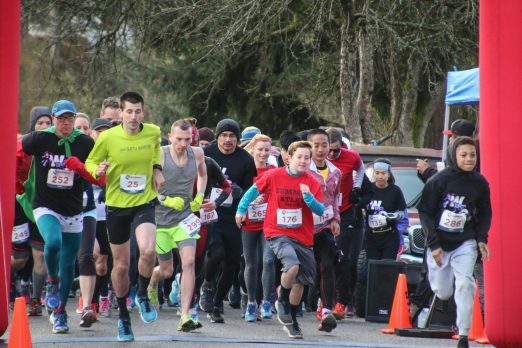 There will also be offerings from local businesses like food and product samples, so attendees can celebrate businesses, parks, & upcoming events in White Center. All summit attendees will hear a brief overview of the “State of White Center”, exploring trends in major issue areas, and then will have the opportunity to break out into small groups to discuss and mobilize around an in-depth issue of their choice – housing, health, economic development, safety, or education. Youth, don’t be shy – you’ll be given special time to learn about each topic and present your findings to the larger groups. 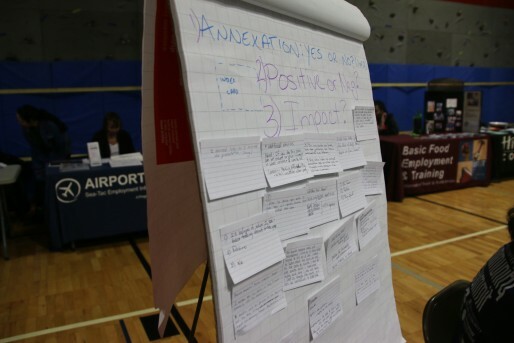 Last year, residents came together to meet with county, city, and CDA staff to learn about as well as voice concerns and ask questions about annexation. The results of last year’s summit will be available for attendees to view. You can register via wcsummit.org. 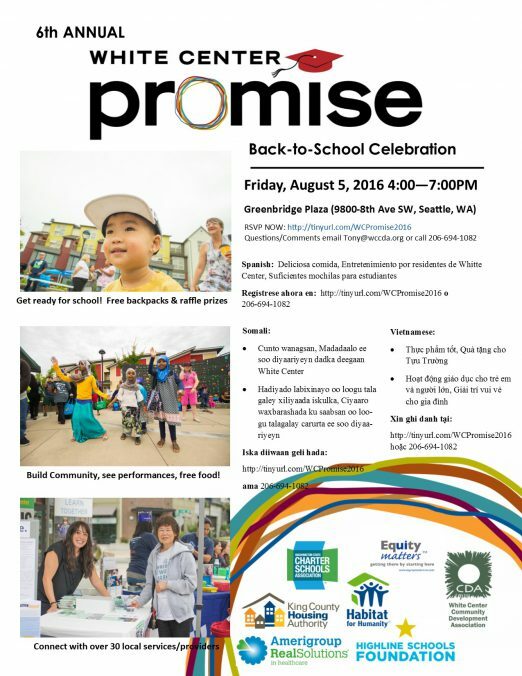 Our 6th annual White Center Promise Celebration will be held on Friday, August 5th from 4:00 PM until 7:00 PM at Greenbridge Plaza, located in White Center at 9800 8th Ave SW. The White Center Promise aims to eliminate barriers to equity and provide a foundation for family and student success from the time a child is born until they transition from post-secondary to gainful employment. The celebration kicks off the school year early and connects over 800 students and their families to 30+ community resources, free backpacks and school supplies, local performances and entertainment, and educational activities for parents to take-away. In addition, there will be free food and raffle items. You can sign up for the event via this link, http://tinyurl.com/WCPromise2016. If you would like to volunteer for this event, please email Tony@wccda.org. 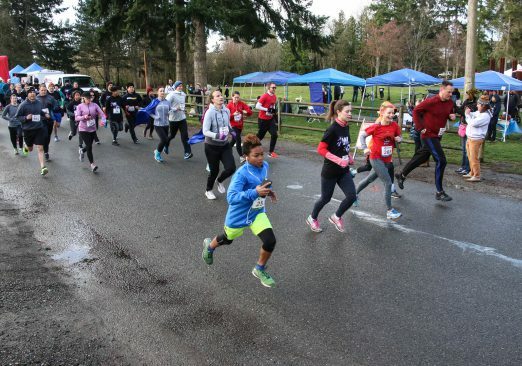 Sponsors of this event includes King County Housing Authority, Equity Matters, Highline Schools Foundation for Excellence, Washington State Charter Schools Association, Habitat for Humanity, and Amerigroup. First day of classes for Highline Public Schools is September 1st. Your report raises serious concerns for our organizations. We ask that you stop the Myers Parcels sale process, and engage the South Park and White Center communities in envisioning the best use of this public land for their public benefit. 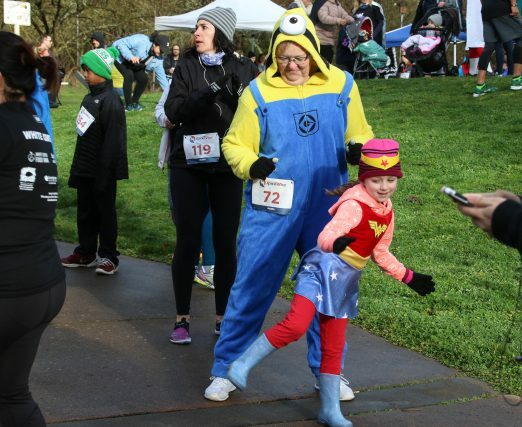 This civic outreach aligns with Mayor Murray’s Equity and Environmental Action Agenda. 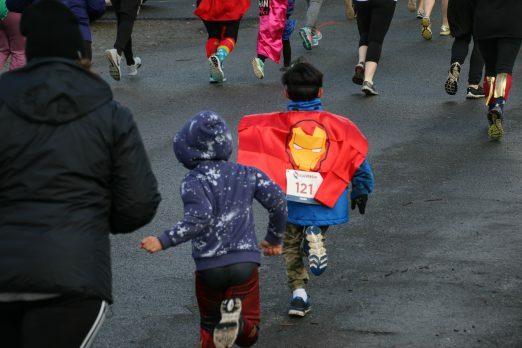 The communities of color, immigrants, the elderly, low income and others in these areas live uphill from the Duwamish River, one of America’s worst Superfund sites. They also suffer elevated levels of illness, as they breathe the worst quality air in Seattle. More than half the residents here do not speak or read English; for some, it’s a second language. Yet the City’s Finance & Administrative Services (FAS) Department issued its formal Notice of Excess Property (Jan. 15, 2016), and its Preliminary Recommendations for Myers Parcels (June 15, 2016) only in English, and to a limited area in the extensive communities that will be affected by the proposed Myers sale. To do effective community outreach, FAS must inform the non-English speaking majority of residents, by offering notices in Spanish, Vietnamese, and Somali. So far, FAS has effectively disenfranchised huge swaths of the local population. The 33 acres of Myers Parcels is the largest tract of undeveloped land that the City of Seattle owns. It holds origins of Hamm Creek, and a second creek – parts of the most fragile link in Chinook Salmon Recovery, and within the Duwamish River Superfund area. Its forested and wetland areas provide habitat, green buffer, and ecosystem service benefits for the White Center, Highland Park, South Park, Roxbury, Delridge and Georgetown communities, and for the City of Seattle. The Myers Parcels forest helps clean the area’s air and reduce atmospheric carbon. 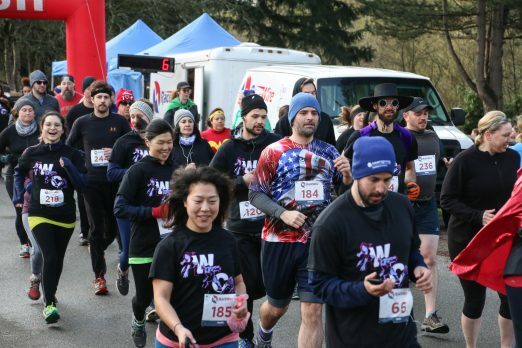 It is also historically significant to the Duwamish Tribe. FAS recommends using the area south of the Joint Training Facility for an expanded parking lot and a commercial warehouse operation, and retaining the wetlands and critical slope above SR 509 that can’t be developed. This FAS top-down recommendation runs contrary to Mayor Murray’s Equity and Environmental Action Agenda, which calls for grassroots, community-driven planning. Rather than rush into a sale, the city should fully engage the local communities in a visioning process that considers their best interests. Page 3 of the FAS Preliminary Recommendation Report portrays the West Duwamish Greenbelt as usable park space. This is misleading. The Greenbelt is filled with large trees and thick undergrowth, lacks trails, and is unusable for public recreation. The entrance for Westcrest Park is not within walking distance for community residents near Myers. Residents of South Park, eastern White Center, and Arrowhead Gardens need accessible green space, improved air and water quality, access to product and service providers and/or existing retail cores, and green jobs. Instead, the city plans to reduce green space and walkability, and degrade air and water quality with parking lots, warehouses, and truck operations. It will not improve accessibility to what residents need, and offers no assurances that proposed commercial operations will produce green jobs for underemployed local residents. In a recent survey by the White Center Community Development Association (WCCDA), White Center residents expressed concern about access to employment, despite living nearby the South Park, Georgetown, SoDo industrial areas. There are ways to combine economic opportunity and environmental sustainability, and support a green economy for Seattle’s future. Adding warehousing and trucking operations neither provides this, nor addresses residents’ concerns. There is a wide range of “greener” options for Myers Parcels – an organic farming cooperative with a mission to support small local produce stands and ethnic grocery stores; a manufacturing facility for clean tech products or compostable goods; an environmental education center an ADA-accessible park for Arrowhead Gardens; and more possibilities. This FAS plan also does not keep the Myers watershed healthy, or help to restore the Duwamish River and promote salmon habitat. It makes no sense to degrade a watershed that feeds the Duwamish River, when we’re spending millions of taxpayer dollars to clean that river up. The FAS Dept. has also ignored our “Save Myers Parcels” petition, which has garnered more than 1100 signatures and nearly 500 comments, and support from a growing number of individuals and community associations. We call on the City to stop this sale, withdraw the FAS recommendation, and fully engage local communities in determining the future of this site. A new assessment of current and future Myers ecosystem value and benefits must also be done, as the current study has expired. We urge the city to retain and develop Myers Parcels as usable public space to benefit all of our communities. Here’s the notice about Thursday’s meeting, which is at 6:30 pm at the Joint Training Facility immediately north of the site, 9401 Myers Way S.
Will White Center become part of Seattle? 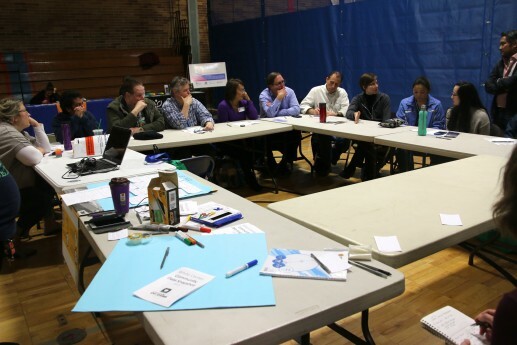 The potential process is only in the earliest of stages, but it’s the main topic of this year’s White Center Summit, convened by the WC Community Development Association and continuing until 3 pm at Cascade Middle School. He was talking about the kind of services that would potentially be available for White Center businesses if the area became part of Seattle. But there are many steps before that would come close to even potential reality. The discussion continues at the White Center Summit for another hour and a half. SIDE NOTE: In the first-ever election for a West Seattle/South Park-specific City Council member, which is just now finalizing a recount, annexation was one of the points of difference between the candidates. Lisa Herbold, expected to be officially announced as the winner on Monday, is not the unabashed supporter that opponent Shannon Braddock had been. Herbold will be one of four new members on the nine-member council as of the first of the year. One of the other three, Lorena González, is a West Seattle resident who won one of the council’s two at-large seats. 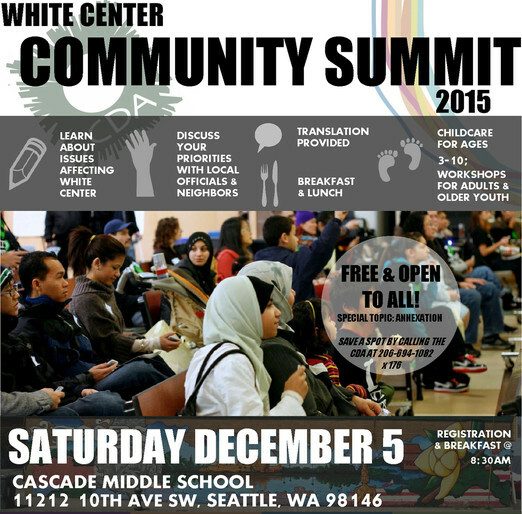 Each year the White Center CDA hosts a community summit to bring neighbors together to talk about the state of their community and plan for White Center’s future – on Dec. 5, the annual summit will highlight the topic of annexation, and the impact of becoming part of the City of Seattle. If White Center residents vote “yes” to annexation, how will public services, education, housing, health, taxes, economic development, and the built environment be impacted? The event will feature speakers from both the City of Seattle and King County weighing in on their perspectives. Currently, White Center is a part of unincorporated King County, meaning it is without city governance and relies solely on the support of the county. In the 2015 White Center Community Survey, 78% of respondents said they either don’t know about annexation, or have heard of the issue but do not understand it. Residents will have opportunities to ask questions about annexation and then break-out into smaller groups for more in-depth discussion. Youth are highly encouraged to attend as there will also be two youth breakout sessions. Throughout the event there will be a resource fair with organizations that residents can connect to. These organizations include the local White Center Food Bank, Seattle Art Museum, Airport Jobs, Highline Public Schools, and more. Breakfast and lunch, child care, and interpretation for Vietnamese, Somali, Spanish, and Khmer will all be provided. There will also be local entertainment throughout the day, such as a DJ and photo booth. White Center Spring Clean 2014: Register now! March 26th, 2014 Tracy Posted in How to Help, White Center Community Development Association, White Center news Comments Off on White Center Spring Clean 2014: Register now! The White Center Community Development Association (WCCDA) is gearing up for 2014 Spring Clean events to take place April 12, May 10, and June 7. White Center Spring Clean is an opportunity for volunteers and residents to take part in an annual spruce up of White Center through projects aimed at cleaning up and beautifying the neighborhood. Spring Clean projects come from the community, as WCCDA supports resident-led action in White Center’s development. Each day will start at the White Center CDA office (605 SW 108th St. Seattle 98146) with a light breakfast before volunteers go to their project assignments. Past projects have included: gardening at various sites around White Center, trash pick-up in White Center’s business district, graffiti removal, as well as painting murals throughout the neighborhood. WCCDA’s Spring Cleans brings in close to 300 volunteers for 20-25 projects each year. If you have an idea or see a need in the White Center community for a Spring Clean project or if you’d like to volunteer and get involved in the community, register online at: http://bit.ly/1nl9Vy8 or contact Vy Nguyen (vy@wccda.org) or Marquise Roberson (marquise@wccda.org). 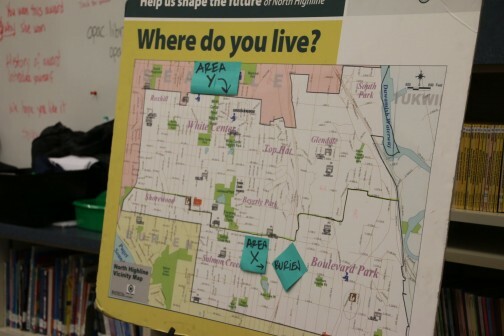 As noted in our earlier report, this was a lively discussion; those in the room included community leaders with varying views, and the hotly fought campaign over Burien’s annexation proposal two years ago was brought up repeatedly. A King County representative (Karen Freeman from the County Executive’s Office) led the discussion, not espousing a particular annexer – the area remains potentially annexable by Burien or Seattle – but saying “it’s time to make a decision” because the county just can’t keep supporting an urban area; the state experts urban areas will become part of cities, either creating their own (which isn’t considered financially feasible for White Center) or becoming part of another. Freeman invited those interested in the topic, seeking accurate information, to contact her – here’s her listing in the county directory. Everyone who registered for the summit got a T-shirt. 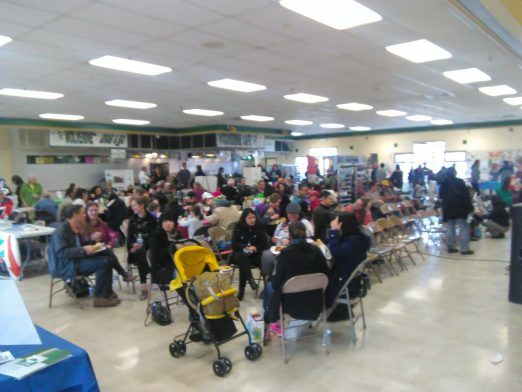 The event also included a resource fair, featuring informational tables from a wide range of regional agencies and organizations – including some recruiting for jobs – and lunch. Housing: How did we live and How are we living now? There’s also a resource fair beginning at 11 am. The school is at 10811 12th SW.
12:27 PM: Added a photo from the first workshop on annexation, with those in attendance including members of the North Highline Unincorporated Area Council and other community leaders. “It’s time to make a decision” about annexing to SOMEONE, said the county rep leading the session. You have a chance to catch the second round of this discussion at 1 pm in the library at Mount View. We’ll add more notes and photos later – the resource fair also continues at 1 pm (it’s lunch-break time right now). 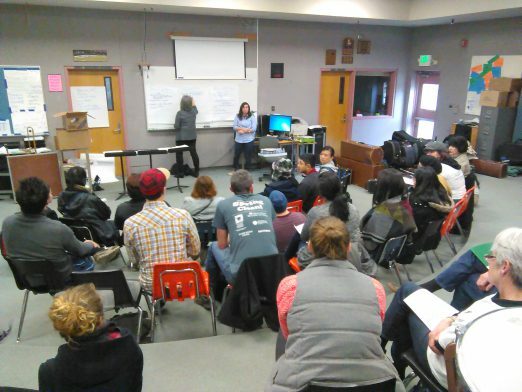 The 2014 White Center Community Summit will take place on Saturday, March 1st from 10am-2pm at Mt. View Elementary School. Registration and breakfast begins at 9 am. 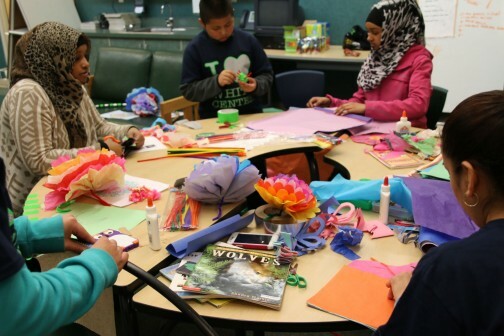 Organized by the White Center Community Development Association (CDA), this is a family event with workshops for youths and adults as well as free child care. The theme for this year’s summit is “White Center: Past, Present and Future,” where we will explore and hear stories about how great things formed in White Center, what new things we have here now and plan with us how to keep White Center a growing place for the future. All attendees that register will receive a free I Heart White Center t-shirt, lunch, and an opportunity to have family pictures taken by a professional photographer. 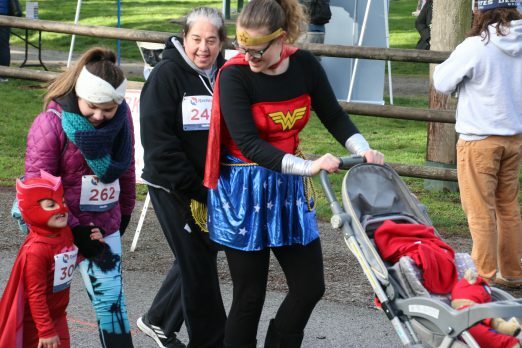 The mission of the White Center Community Development Association is to promote a high quality of life for White Center residents and stakeholders through the development of authentic leadership opportunities and community based neighborhood initiatives. This is accomplished through three lines of business: neighborhood revitalization, family development, and community building. For more information please contact Marquise Roberson, Community Builder, at (206) 694-1082 or Marquise@wccda.org. You might have heard a rumor that the WCCDA is moving and it’s true! We will be located in our beautiful new location at Bethaday Community Learning Center (TAF Offices) in White Center!!! We will be moving into our luxurious new home next Monday, December 16th and we are so happy to be located with another fabulous community partner. Our new address will be 605 108th St., Seattle, 98146. Our phone number will be the same, our staff emails will remain the same – the only thing changing is our home! But wait! There’s more!!! What move would be complete without a GARAGE SALE! I know that there are a lot of garage sale fanatics out there who love to check garage sales throughout the community. Well, add ours to your map! This Saturday, Dec. 14th, from 9 am to 3 pm we will have TONS of items for sale. Everything from office furniture to kitchen items must go. We have a lot of things that we won’t be taking with us and this is a great chance for you to pick up a WCCDA memento. I know you want something to remember our old digs by, right? With the holiday season upon us, why not pick up a few items that may become invaluable for a white elephant gift exchange? Wow!J! Don’t miss the chance to be the first in line for deals galore! Please look out for an email in January about an Open House in our new space. We’d love to say hi and kick off the new year with a chance to connect! Thanks for your continued support of the WCCDA over the years! We look forward to another 10 years of action in beautiful White Center.